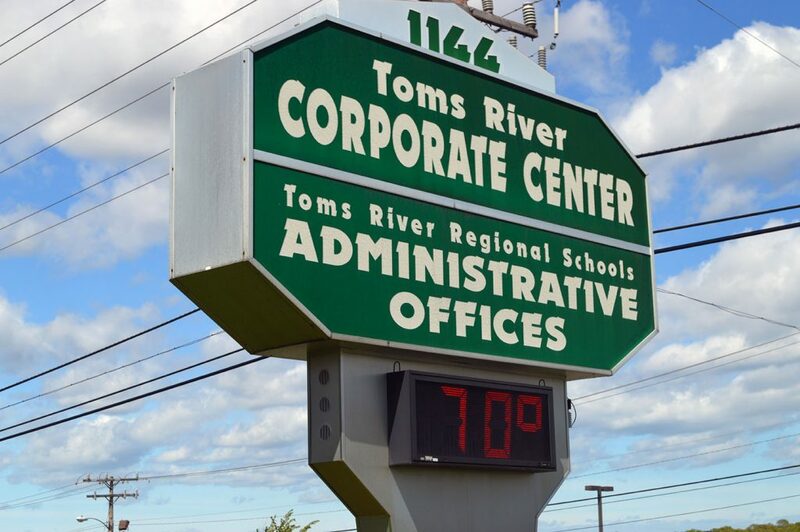 Toms River Regional schools superintendent David Healy will express some “thank-yous” early Wednesday morning – and then get right to work on planning $147 million in facilities and security improvements for his district’s 18 schools. Voters within the regional school district approved a major capital improvement ballot measure 7,513 to 5,383 votes, a 17 percent margin, according to the Ocean County Clerk’s office. While the project will result in a tax increase, officials said the district’s facilities were in such dire need of repairs and improvements that turning down the ballot question would likely have resulted in even higher costs over the 20 year period the bond will be paid off. The referendum vote on a cold Tuesday in January saw turnout boosted by celebrities including New York Mets third baseman Todd Frazier and UFC fighter Frankie Edgar, both Toms River natives, as well as a host of PTA organizers, parent groups and youth sports organizations. While the funding will lead to some shiny new equipment and high-tech security features, its major impacts will be behind the scenes in the form of boiler and chiller systems that will replace HVAC units that have been failing for years, sometimes prompting students and staff to don coats indoors during the winter. As referendums usually do, the vote came down to the numbers – and was largely viewed by the community as meeting an obligation that had been put off for too long. The district has spent $4.7 million on maintenance since the 2014-15 school year. The passing of the referendum also takes pressure off the district to fund building maintenance in the wake of “devastating” cuts in state funding, Healy said. A budget deal hatched last summer between state Sen. Steve Sweeney (D-Gloucester) and Gov. Phil Murphy (D-NJ) cut $19.8 million from the district over seven years, at which point the budget will have a permanent $19.8 million cut. The bill that codified the agreement also calls for mandatory tax increases each year for seven years to the maximum amount allowed by law. Facing such dire reductions in state funding would have likely led to program cuts had the district continued to fund maintenance through its beleaguered operating budget. “What this allows us to do, through a 20 year bond, is address significant priority projects, many of which are health and safety items, without impacting an already depleted budget,” said Healy. The total cost of the capital projects is $147,148,269. For a home valued at $272,400 – the average assessed value in Toms River – the annual cost will add up to $141.60 per year. William Doering, the district’s business administrator, said the funding will be financed over a period of 20 years at an interest rate expected to be 3.85 percent. Heating, ventilation, and air conditioning (HVAC) units and controls. Repairing and repaving of parking lots and driveways. Healy said work to ready the district for its improvements will begin immediately. Now that the bonding ability has been approved by voters, district officials can begin hiring firms to design and engineer the projects that will be funded. After the designs are completed, the district will go out to bid in order to secure contracts to perform the work. Healy said he expects many of the projects to begin this summer.